We have solutions to match the smallest one person operation right up to major corporations. Total support and maintenance. We take care of your website, leaving you free to take care of your business. At Netwizard Design we understand the reason you need a website is to get the maximum return on your investment. Our experienced team of designers and developers will not only produce a website that looks fantastic and is easy to use, we are constantly finding new ways to make sure your hard earned website visitors convert to leads and sales. Netwizard design is the only company you need for everything related to your website, we have streamlined the whole process. Contact us today to arrange an appointment with a member of our talented design team. Designing highly effective websites for small to medium business since 2007. 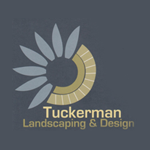 Recently received great customer service from Damien and his team who developed a new website for my landscaping company. Extremely efficient with attention to detail and reliably, available to answer any queries needed. Thank You to Damien and his team at net wizard designs for creating a fantastic website and SEO marketing campaign. Everything you advised us would happened has happened and the traffic coming though the website has exceed our exception. We recommend them for affordable, Professional and Personal Websites with exceptional Customer service. These guys are great at website design! Had an awesome experience with the guys at Netwizard Design. Could not recommend them highly enough. Our website looks amazing. Thanks Jeff, Damien and all the guys that worked on the website. Quite a lot of our customers have commented how great our new site looks, I have even had new customers say that the reason they chose us was that our website looked for more professional than any of our competitors. From first contact I felt at ease the sales team where helpful and understood the vision I wanted for my company. The design team were pleasant and only to happy to make any changes I requested.I would highly recommend Netwizard Design for website and SEO. The team at Netwizard design were fantastic to deal with. They went above and beyond our expectations to help us achieve the desired result. If you need a website, speak to these guys - Highly recommended! We have been very happy with Netwizard developing our website, we have been so impressed with their professionalism and they have been very helpful in the process and the ongoing input to our site. Jeff and the team at Netwizard Design have completed 2 websites for me, one from scratch and one revamp of an old boring website. I could not be happier with both. They listened to what I wanted, and very quickly came up with some ideas to choose from. The content and animations especially are outstanding. Our analytics show that more people are staying longer on our website than before, and we are converting a higher rate of visitors into customers. Add to that a great price, and very friendly staff, and I have no hesitation in recommending Net Wizard Design for all your website needs. The website looks amazing and I couldn't be happier with the results. Your customer service I have experience is wonderful and I will highly recommend Netwizard. Later on the track, I will want to add more photos of our new machines to go in the gallery. Thank you and have a great day!